An avid chamber musician, violist Suzanne Wagor has collaborated with numerous artists, including members of the Tokyo String Quartet, the Nash Ensemble of London, and the Peabody Trio. Suzanne holds a B.M. from the Oberlin Conservatory, an M.M. from the Juilliard School where she was also a recipient of the Alma Williamson Moreton Scholarship in Viola, the Satterwaite Scholarship, and the Edward John Noble Foundation Scholarship. She also received a Performance Diploma in Orchestral Training from the Guildhall School of Music, with additional chamber music studies at the San Francisco Conservatory of Music. Her principal teachers include William Preucil, Sr., Jeffrey Irvine, Lynne Ramsey, Ian Swensen, Roger Chase, Heidi Castleman, and Misha Amory. 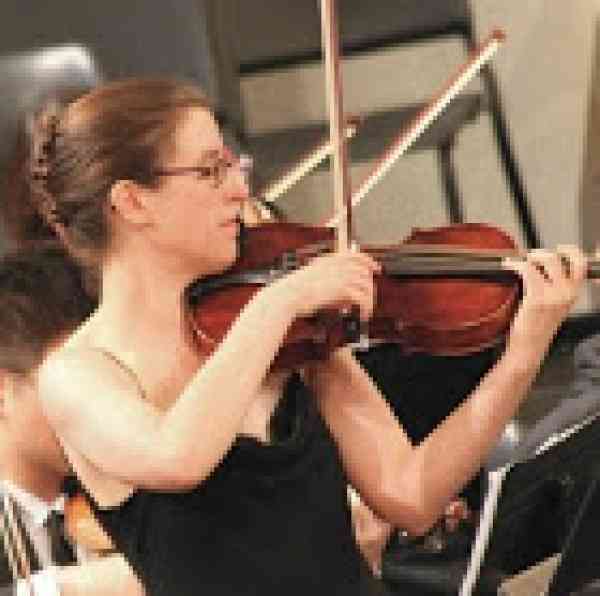 A native of Iowa, Suzanne made her concerto debut at the age of 15 with the Cedar Rapids Symphony Orchestra, and she has twice been a finalist of the American String Teachers Association National Competition. Suzanne is a founding member of Five Seasons Chamber Music, and performs regularly in New York City and internationally, with performances in the Czech Republic, Croatia, and around the US. Suzanne has attended numerous festivals including the Casalmaggiore International Festival, Aspen Music Festival, Hot Springs Music Festival,The Quartet Program at Bucknell, Audubon Quartet Seminar, Interlochen Arts Camp and the Texas Music Festival. Suzanne has over twenty years of teaching experience. She received her Suzuki training at the School for Strings under the tutelage of Louise Behrend, Allen Lieb, and Ekaterina Gerson, and has served on the faculty of Northern Arizona University, Coe College, The School for Strings, the Special Music School (P.S. 859), and The Lucy Moses School, and the New York Youth Symphony Chamber Music Program. In addition to maintaining a private studio in New York CIty, Suzanne is currently on the faculty of The Hudson River School of Music in Dobbs Ferry, and is Suzuki Coordinator at the Music Conservatory of Westchester in White Plains. She serves as Artistic Director of Five Seasons Chamber Music, helping to organize their festival each June, and serves on the faculty of the Performing Arts Institute of Wyoming Seminary during the summers.